This dish literally takes 5 minutes to prep. I love slow cooked chile verde. Love, love, love it. But I don’t always have an entire day to chop, saute, simmer and wait (shocker, I know). So I created this ridiculously easy Slow Cooker Chile Verde recipe with the ‘set it and forget it’ mentality of the slow cooker. 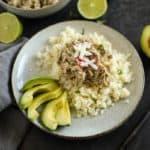 It’s not as saucy as a big bowl of chile verde – and it uses chicken in place of the pork – but it’s super versatile and just mildly spicy so it’s kid-friendly too. 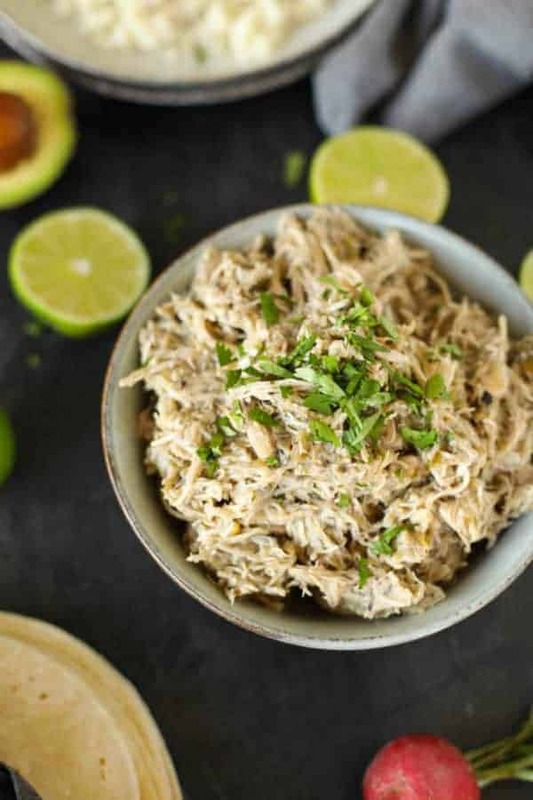 Just toss the chicken into your slow cooker or Instant Pot set to ‘slow cook’, mix the salsa, green chiles, cumin and oregano together then pour over the chicken. Set that slow cooker to LOW and come back in 4-6 hours. To save time (because you’re probably really hungry just smelling this deliciousness) shred the chicken right in the slow cooker. You don’t HAVE to shred the chicken, you can serve it up as is with lots of sauce poured over the top. It’s totally our chicken chile verde awesomeness to create here. If you don’t have little beings who dictate the spice level in your cooking then feel free to make this spicier. It’s so good when it’s spicy! 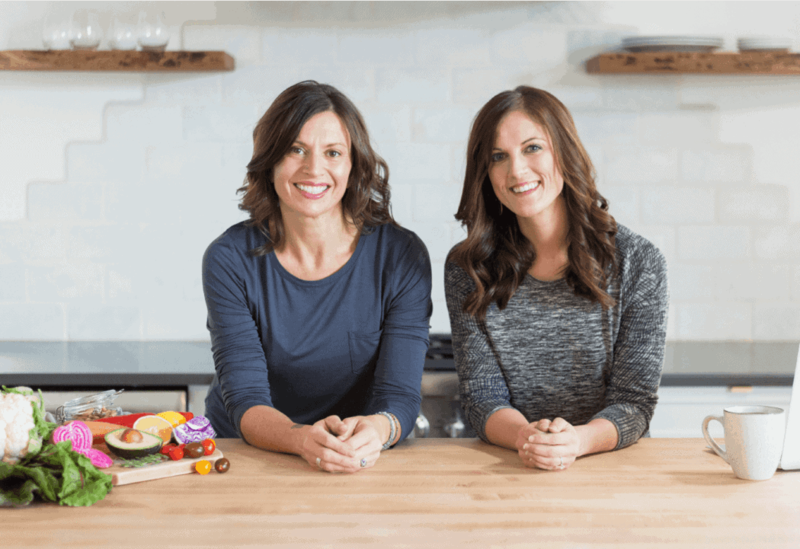 Just make sure it’s ingredients are clean, clean, clean if you’re doing a Whole30! For this milder version, I used the Trader Joe’s Salsa Verde (Fresh tomatillos, green chile, water, onions, fresh jalapenos, salt and spices). The Hatch Valley Salsa, also from Trader Joe’s, is a bit spicer thanks to those amazing Hatch chiles they grown in the arid dessert of New Mexico. But I digress, this one is super clean too – just Hatch chile peppers, tomatillos, citric acid, lime juice, garlic and sea salt. So good! Need even more heat? If you live the West or Southwest you’re lucky enough to get fresh roasted Hatch chiles at roadside stands or local farmers markets during late summer and early fall. These can range from “mild” (which I’d have to say is more medium) to hot, hot, hot! Toss a few of those in the pot and revel in their spicy glory. Alternatively, you can grab a can of hot roasted green or Hatch chiles to stand in for the milder ones I’ve listed in the recipe below. 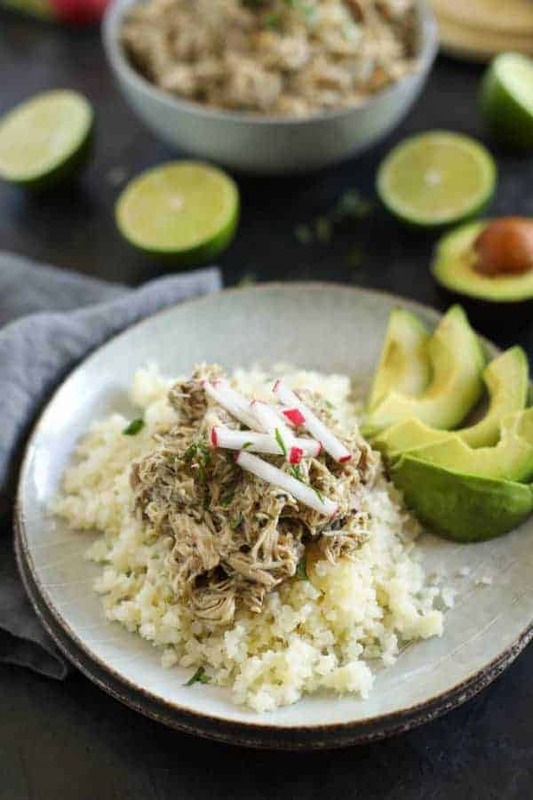 With all the time you saved prepping this magical slow cooker meal you can make some cauliflower rice to serve it over and sop up all that tasty sauce (Trader Joe’s has it both frozen and fresh – can you say life saver when you just. want. to. get. dinner. on. the. freaking. table!?) Or you can rice and cook your own too. Here’s a recipe for that. Or just get on it without any fuss whatsoever and scoop it into lettuce leaves. I like mine topped with lots of fresh lime (because let’s be honest, that zingy lime taste gets lost in the slow cooking process), fresh cilantro, radishes for crunch and of course, some diced avocado because there really isn’t much fat in this recipe. And you need fat to feel satisfied and satiated and happy and to make your food taste even better. Add this easy and family-pleasing Slow Cooker Chicken Chile Verde to your meal plan this week! It hardly gets any easier than this recipe with just 5 ingredients! Look for a salsa verde without preservatives or added sugars – we like the Trader Joe’s Salsa Verde because it’s just tomatillos, green chiles, water, onions, jalapenos, salt and spices. 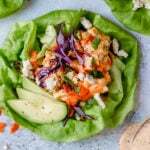 Serve over cauliflower rice or tucked into lettuce wraps. In a small bowl, combine salsa, green chiles, cumin and oregano. Pour over chicken. Place lid on slow cooker and cook on LOW heat for 4 – 6 hours. Remove lid and allow chicken to cool slightly before shredding it with 2 forks right in the slow cooker. Season with salt and pepper to taste. Transfer to serving dish, top with chopped fresh cilantro and serve with lime wedges, if desired. Serve over cauliflower rice or in lettuce wraps. Instant Pot Instructions: Place ingredients in the Instant pot. Put lid on and make sure vent is sealed. Set Instant Pot to poultry setting for 15 minutes. Once cooking is completed, allow natural releasing of pressure for 5 minutes then switch valve to vent. When all of the pressure releases and lid unlocks, remove it and shred chicken with two forks. Toss chicken to coat with sauce. What’s your favorite ultra-easy slow cooker recipe? Share in the comments below! Pin now and make later! This was SO delicious and couldn’t be simpler. I served in corn tortillas (recommend doubling up b/c there is a lot of liquid) but I also think it would be amazing with some home fries and a poached egg on top. Took me less than 5 mins to throw together and the crock pot did all the work. Thank you for this easy, healthy win! Thanks for weighing in on this one, Maura! We couldn’t agree more about the poached egg + homefries idea. Glad you loved the recipe and the 5 minute prep time!! Great recipe. I added 2 jalapenos with seeds diced, 1 green bell pepper and half a sweet onion. Spice mostly cooks off. Left in crock on low for 7 hours. Served on plated with white rice and kidney beans. Tortilla chips on the side for scoping. Thanks you! Happy to hear your enjoyed the recipe. And love the sounds of those additions! I have made this once before and my husband and I both LOVED it! I made it with fresh chicken then, but do you know whether I can make it with frozen chicken without having to thaw it first? Thanks in advance for your help! 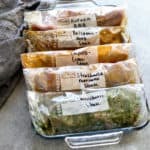 You technically could use frozen chicken (people do it all the time for those once-a-month freezer meal deals) BUT know that by using a frozen chicken it will take longer for the temperature of the chicken to get to a safe temperature of 165 degrees. The longer the chicken is at a temperature between 40 – 140 degrees, the greater the likelihood of pathogenic (illness-causing) bacteria will multiply to an unsafe level. My suggestion would be to at least partially thaw the chicken under cool running water in the sink (or a microwave if you use one) before tossing it into the slow cooker to be safe. I made this last night and it turned out perfectly! I added one whole sweet potato chopped into small pieces, a n onion, and then an hour before serving I added a bag of frozen corn. It was great! Will make again. So great to hear! Love the additions you made too. Thanks for sharing your feedback – we appreciate it! I have homemade tomatillo sauce to use in place of the salsa verde. Curious what ‘one jar’ means measurement wise. Thanks! Great question – 1 jar, in this case, is 12 ounces. I’ve updated the recipe to reflect this! Why thighs and breasts? To keep it moist? What adjustments would I make if I just wanted to use all breasts? Yes, we have found that thighs work best as breast have more of a chance of drying out. However, feel free to use an equal amount of chicken breasts in place of the thighs – I’ve actually made this recipe with just chicken breast and it turned out great. Enjoy! 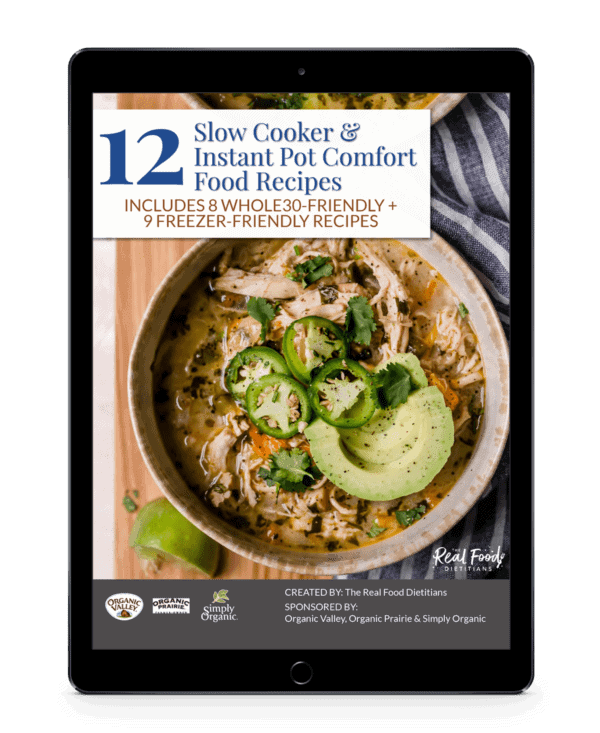 Have you tried to make this recipe in an Instant Pot on either the “slow cook” or pressure cooking mode? Just wondering if it might change the cook time. I’m trying today on slow cook mode. Hope it ties out well. I use the Slow Cooker feature on my Instant Pot regularly but find that even on it’s lowest setting (“Keep warm”) it runs much hotter than my regular slow cooker – and the cooking time is nearly halved. I’m not sure if it’s just my Instant Pot since it’s a few years old – or if they all run hot when using the slow cooker function. Perhaps someone else can weigh in on this issue? If you want to you can use the “Poultry” mode (preset for 15 minutes at high pressure). I live at high altitude and sometimes have to add a few extra minutes to my cooking time (about 10%) when the atmospheric pressure is low (aka it’s really cloudy and overcast) – not sure why but that seems to be the case. Start with 15 minutes then release the pressure and see if it’s cooked through. If it’s almost done, I say turn it to ‘saute’ or ‘slow cook’ to cook a little longer if you have the time or lock the lid back in place and give it another 2-3 minutes. Once you do it the first time you’ll have a good idea of how long it takes to cook that amount of protein. Welp I’m going to make this tomorrow in the slow cooker, I am going all boneless, skinless thighs and I did find the verde in the local Trader Joe’s can’t wait! I am going to serve it with corn tortillas and rice and beans though.. little more fattening but I think it’ll be great! Thanks for the recipe! Awesome Dave. Those changes and additions sound great! Enjoy! I made this dish yesterday and it’s true! It couldn’t be more simple and delicious! So easy, everyone should run out and get the ingredients for this a grand slam for sure! I froze the rest and will make a nacho variation of this for the next meal. Thanks again for the great recipe Stacie! Glad you loved this dish and thank you for your very kind words! It’s truly one of the easiest things you can make in a slow cooker. We spiced it up a bit with jalapenos and added corn! This is a savior in whole 30…so good, goes good with breakfast, lunch, dinner. Late night snack….wait no snacking. Lol. Super easy, super good. I made this with was extremely pleased with the results. Easy and so tasty! Will make again but thinking of doubling the amount of chicken so I have more left overs to freeze. Do I need to add a lot more cooking time if I use 4 lbs of chicken breast? I’m so happy to hear you loved this recipe. Like you, I love doubling recipes like these so I have more leftovers to freeze. 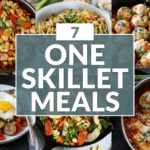 You likely won’t need to add any extra cooking time if you use 4 lbs. of chicken especially if you stir it halfway through the cooking time. Hope that helps! If I double the amount of chicken, would you suggest doubling the entire recipe? I am trying to make this for 10-12 people! Also, would you say this is a less “soupier” version of chili verde? If so, would adding chicken broth/stock taste okay? Thanks for all your help! Can’t wait to make it! Yes, if you double the chicken you’ll want to double the other ingredients as well. 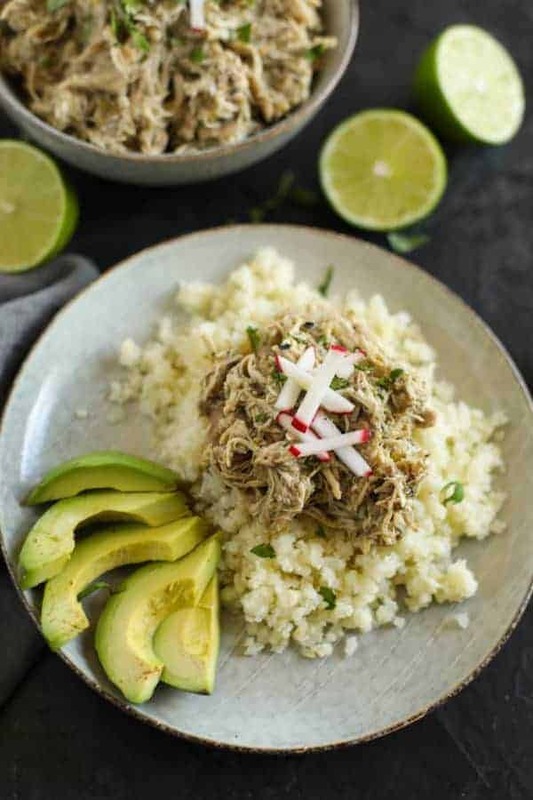 This is definitely less soupy and more like carnitas – shredded meat with a bit of liquid. I don’t think the sodium level is correct. Can you fix that? I’m trying to watch my sodium. Thanks!! Thanks for pointing that out. I updated the nutritionals. Thanks! I’m actually making this again for my girls weekend in two weeks. 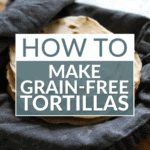 So easy….and I make it like a taco bar (guac, raw onion, sour cream, torts, tomato) It really was fantastic! Thanks! Awesome! Your taco bar is going to be such a hit. Enjoy your girls weekend! I’m making this for the second time tonight, I will use it as a topping to my famous nachos which will now be even more famous now that I got this secret weapon! Great stuff, and couldn’t be easier to make! Awesome! Your famous nachos sound amazing – glad we could help you make them even more famous! I’m new to cooking! I Made this and it was so easy. And it was good too! I had to add salt as it was bland, but I’m watching my salt so I didn’t put too much. Hubby and my toddler loved it with spanish rice. Easy to meal-prep for lunch too! How long do you think this would last in the fridge? Thank you for your kind words! Often slow cooker recipes will lose their ‘salty’ taste after cooking low and slow so salting before serving as you did is always recommended. I keep this in the fridge for up to 4 days and freeze any leftover in small portions for easy thaw, reheat and eat meals later on. Pinto beans are great in this recipe. If you’re using canned beans, I’d suggest draining/rinsing them and adding them when there’s about an hour left of cooking time to prevent them from getting too mushy. Just made this tonight in my Instant Pot and it was amazing! I sautéed a diced onion with half a jalapeño, 3 minced garlic cloves, and a diced bell pepper in the Instant Pot. Once it started to brown I added the salsa verde, green chilies, spices, 1.5 cups of basmati rice, and 1.5 cups of bone broth. Added the chicken and cooked it on manual high pressure for 9 minutes. After it finished I let it sit for 5 min before I released the pressure manually. Such a quick meal and will serve this anytime I have company and need something fast. Thanks for sharing! I love how you added some extra peppers and the rice to make it a true one-pot meal in the Instant Pot. I’m definitely going to take a cue from you and try that out. Thanks for sharing! Made this last night with cauliflower rice….delicious!!!! Thanks so much! Do you think it would be ok to use the Diced and Fire Roasted Tomatoes with Green Chiles, rather than just the green chiles? Absolutely! You’ll have a little more liquid since you’re using a 14-15 ounce can vs. a 4 ounce can but you could cut back on the salsa verde as well to compensate for that. 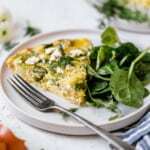 I found this recipe to be extremely salty. Can you recommend something I could add to lower the salty taste? I served it over white rice, which helped, but not enough to make it a winner for me! Shoot! Not sure why it came out so salty for you. It could have been the particular salsa verde that you used. I would suggest adding 1/2 of the 12 oz jar of salsa + about a 1/2 of a cup of water or low sodium broth. That should help balance it out for you! This is cooking as we speak in my crock I added a large can of black beans and some extra salsa and cayenne pepper to spice it up a bit I’ll make my brown rice later after I shred the chicken combine all of that and put it back in my crock to heat through (I use this for meal preps) and make my burritos to freeze 😊 thank you for this easy healthy recipe too help me stay on track! You’re so welcome! 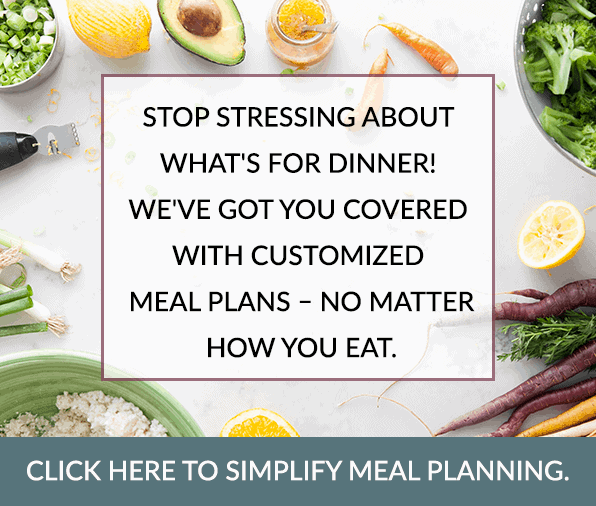 I love your additions to make it meal prep- and burrito-friendly. Happy eating! Rookie question, do I have to add water for the chicken to cook or is there enough liquid from the jar of chulrs and salsa? Great question! You do not need to add any additional water – there’s plenty of liquid from the salad and chiles. ABSOLUTELY DELICIOUS! A little kick, but not a lot. Perfectly paired with the cauliflower rice. Will definitely make it again! Thanks, Amy! I’m so glad you love it. It’s one of my favorites, too. I loved this! It was so easy to make. I added a cup of quinoa to my pot and it cooked perfectly! Thanks, Marissa, for sharing – that’s a great addition. This was really really good! Children and husband loved it! 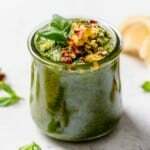 Do you have a whole30 verde salsa recipe? Thank you for the recipe! Do your nutritional values include cauliflower rice? Unless specified, the nutrition info includes on the main recipe (not the suggestions for how to serve). For reference, 1 cup of cauliflower rice provides 30 calories, 5g carbs, 0.6g fat, 2.4g protein on average, without added fat. Will this require more liquid at higher altitudes? Thanks! I’ve made this recipe multiple times at 5600 ft without adding extra liquid. And there is extra liquid left over after cooking so I’d say that you would not need to add more water (unless you’re really up there around 10,000ft). Of course, you can keep an eye on it the first time you make it to be sure you don’t need to add more liquid. Hope that helps! What would the result be if I used skin on and bone in chicken thighs? That’s all Trader Joe’s had today! That would work! It will just be a little greasy due to the skin on. This recipe was so easy and SOOOOO tasty! Thanks for sharing! Will be making again to use in different variations like enchiladas, tostadas, etc. Yes! So happy to hear this! !